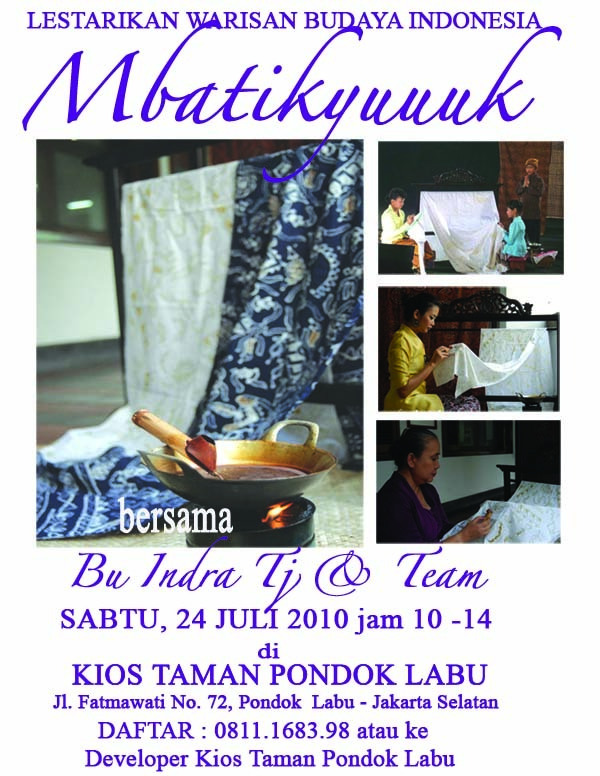 COME & TRY MAKING BATIK @ KIOS TAMAN PONDOK LABU – 24 JULI 2010 – Mbatik Yuuuk!!! for example you will make SCARF KATUN PRIMIS, transfernya Rp. 140.013…. the number of 013 is your mobile phone last 3 digit – it is important for Bank Checking.